Advent Day 6 gift is now out! Yaaaaaay, new gift is out! I’ve also put out the previous days’ gifts for L$50, but only grab them if you need them before Christmas Day! I’ll have them on special then as a special end-of-the-event sale. Hi everyone~ Today’s gift is now out and here’s what you missed yesterday if you didn’t stop by. 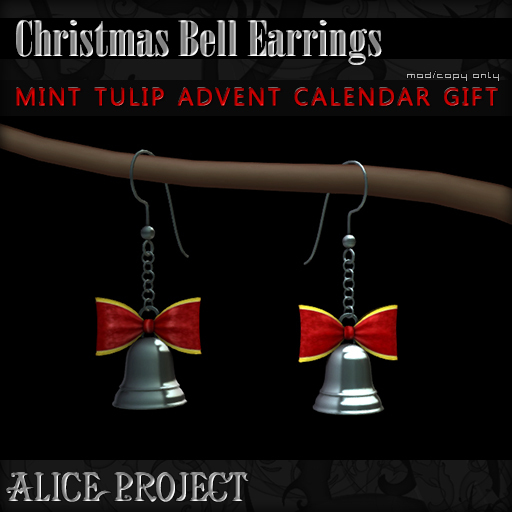 Don’t forget to come over to our Mint Tulip location everyday after 12 noon SLT to pick up a new gift! Advent Gift 4! Out now! Gift Number 3 is out! Yup, I’m ‘totes cool’ and didn’t blog right when the gift was out, but the new gift is there and will be for another 12 hours. Here’s a look at yesterday’s gift!